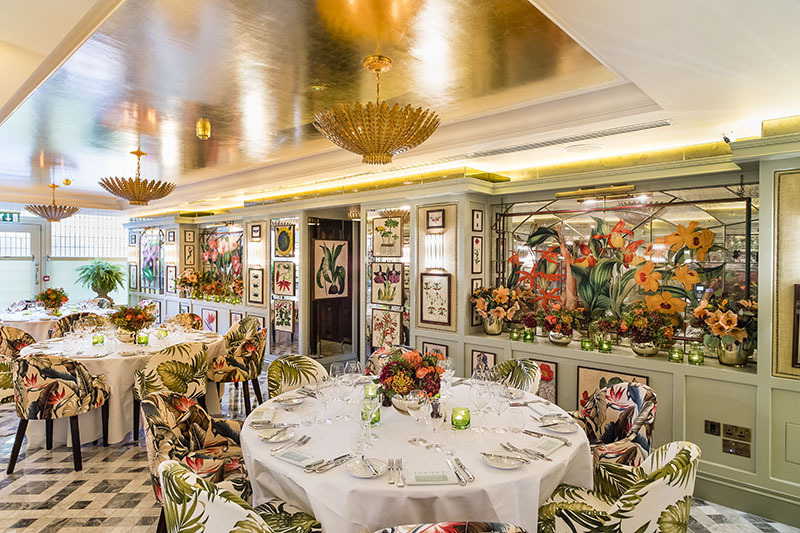 Floral, botanical, glamorous, art deco elegance; The Ivy Chelsea Garden is an opulent private dining experience ideally located on the King’s Road. 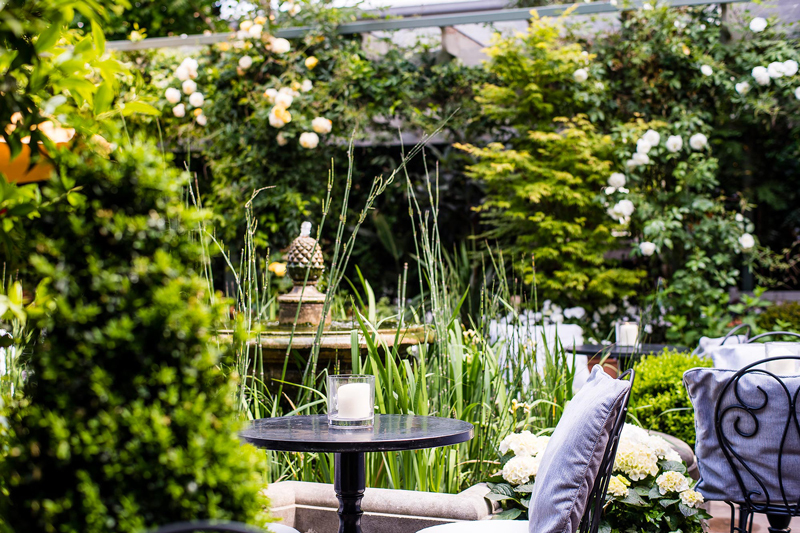 The Ivy Chelsea Garden’s Private Room provides the perfect setting for intimate wedding celebrations. 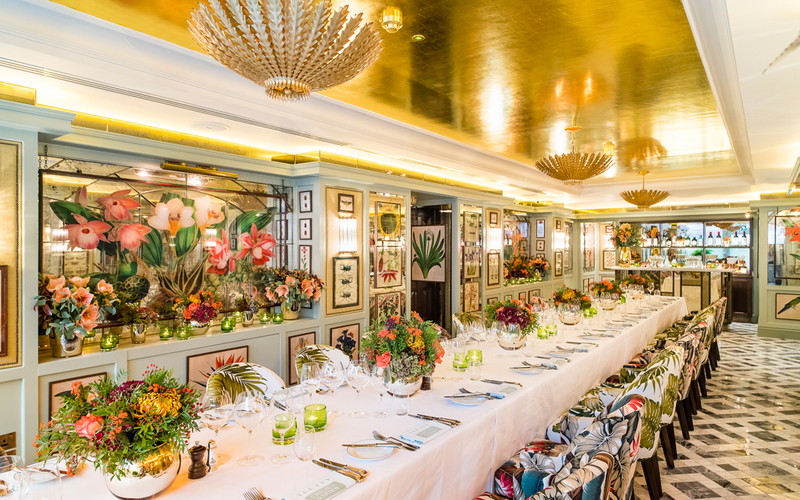 The Private Room at The Ivy Chelsea Garden seats 30 on one long table, or 24 on three round tables of 8, and is available for breakfast, lunch and dinner, as well as drinks and canapé receptions for 50 guests, 7 days a week. 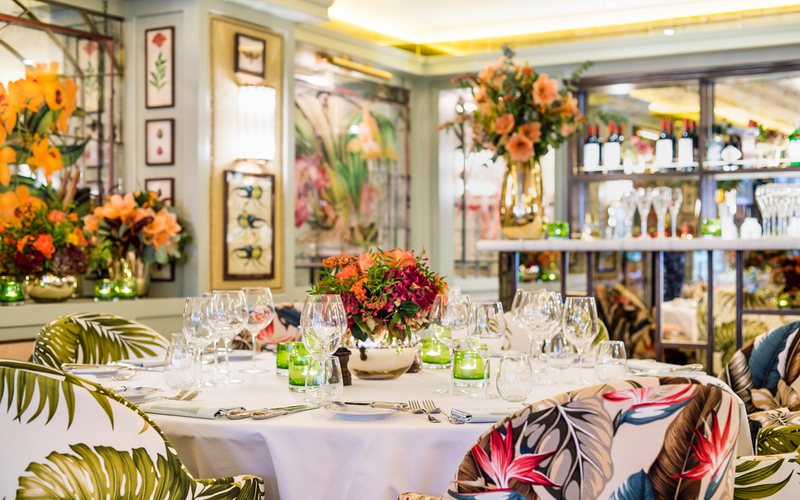 Decorated in a similar style to The Ivy Chelsea Garden, the walls of The Private Room are adorned with colourful vintage botanical prints and sumptuous floral artwork. 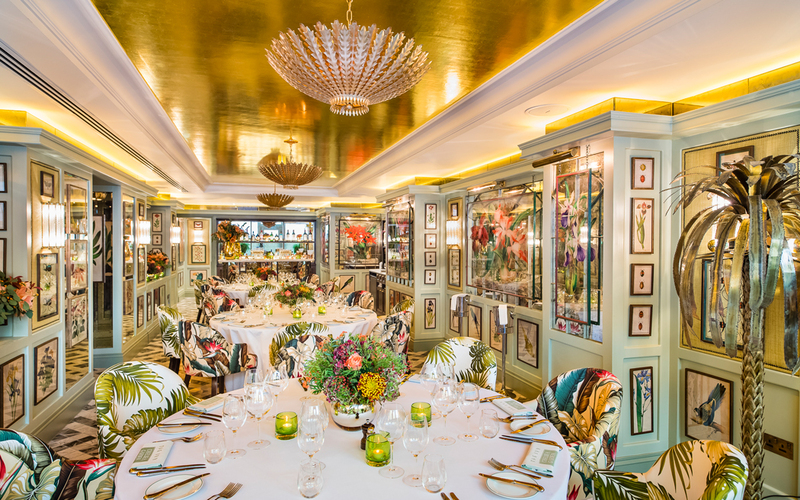 The bespoke patterned white Carrara and Fior di Pesco grey marble tiled flooring, eclectic mix of vintage dining chairs upholstered with bold floral and palm printed fabric and hanging gilt leaf pendants add a touch of glamour to the room. 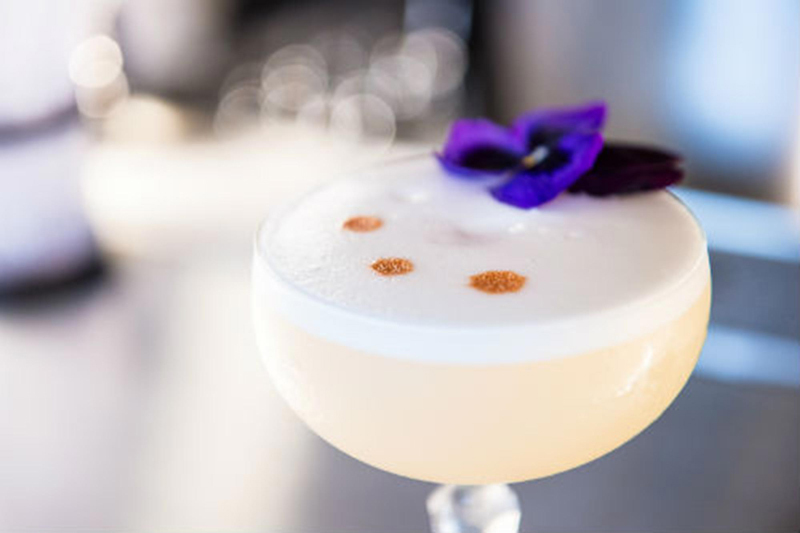 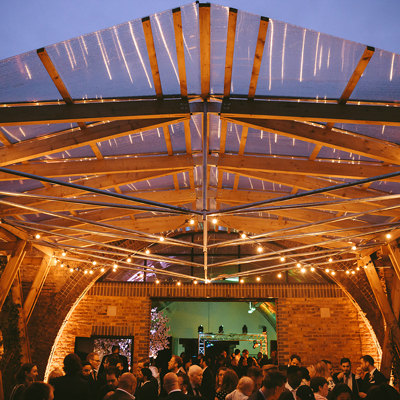 With a selection of menus available, specially created by their Executive Chef, Sean Burbidge, The Private Room is suited to private parties and wedding celebrations. 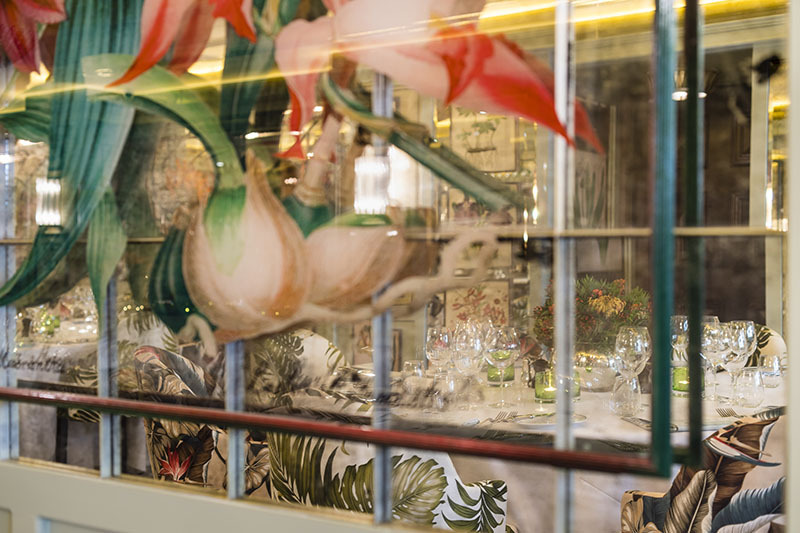 There is a beautiful marble top private bar decorated with bevelled antique mirror panels and trimmed brass, making the room suitable for both seated dining and standing receptions.